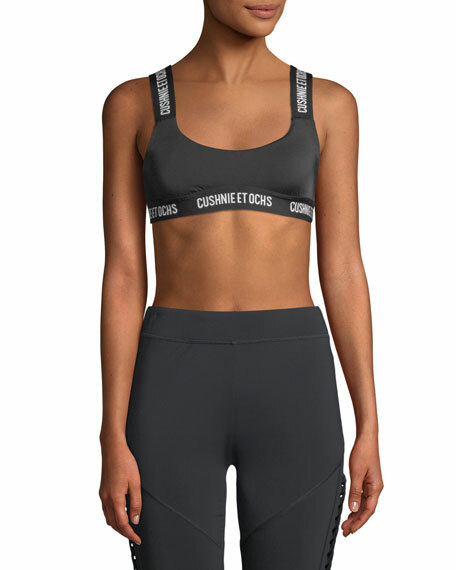 Cushnie Et Ochs "Cecile" performance sports bra. Logo print straps and waistband. For in-store inquiries, use sku #2538758.